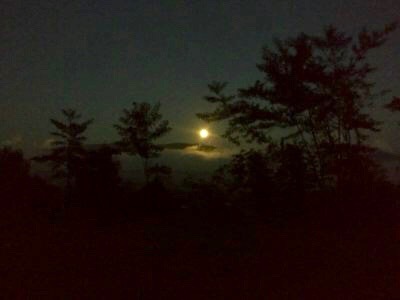 The moon shines intensely on a cool night in Manipur as we all gather around a fire and sing songs of worship to the true and living God. There are three women all from Hindu background who join in the singing in their own language or listen with glee as we proclaim good and life changing news. My heart is blessed and full as I sit amidst the beauty of this moment caught between the splendor of the hills and that of our worship. We are black, brown, and white people from various parts of the world, with unique cultures, needs and problems but all of our hearts are set intently on the great Creator, who I imagine is beaming with joy! As I look to the hills, light reflecting from the full moon, my heart sings “How Great Thou Art”. Who can stand to be anywhere else but here? At this moment I feel that I am exactly where I am supposed to be and gratitude and joy overwhelms me. These three women who join us are recovering addicts who through our service at a drug detox clinic has tasted and seen the Lord is good. Having been abused and neglected most of their lives, they encountered the temptation of addiction and ate of Satan’s poison. Unrooted in Truth, they fell for the lie, the false hope of escape and glee, and sunk into the pit of destruction. One woman in particular, Toni, arrived at our detox with her two-year old son, Vi torn and tortured. Anger was her daily bread and though she was three months pregnant she was thin and frail. I witnessed with terror as she beat her child multiple times, throwing him to the ground in a fit of anger and frustration because of her withdrawals. I witnessed him lackluster and developmentally behind because of severe neglect and abuse and because she was still breastfeeding so he too went through withdrawals. I witnessed horrors only seen in movies and illustrated in books right before my eyes. I heard stories of their upbringing that made me shutter, and of false religion that made me cry. Still, like the full moon beaming in the night God shone His mighty grace. I witnessed miraculous transformation in their lives. I watched as distrust morphed into love, liberty broke through the walls of oppression, and hopelessness bowed at the feet of eternal and unshakeable hope. I witnessed Toni love her child, as if the scales from her eyes fell and she saw for perhaps the first time that he was precious and a gift from God. I witnessed her read her new Bible to her baby boy in their native language. I witnessed him soak up her love as if it were the only thing in the world he craved. I witnessed him speak in Manipuri and English, become trusting and alive and what a sweet sound it was to hear him laugh! I witnessed God’s power for healing and hope - these imperishable gifts that I all too often take for granted. Hope is indeed a miracle when all one knows is despair. Lovingkindness pierces through the darkness of oppression and self-hate. Our God is alive and well, bringing conviction and comfort through His Holy Spirit and He blessed me to see with my own feeble human eyes! Blessed be the Name of The Lord!